If you are in need of an In-Building Wireless provider with superior service, quality products, with affordability in mind, then look towards Surelock Communications for your dependable wireless solutions. Today, businesses must keep up with changing technology to maintain leadership in a competitive market. Improving productivity through effective communication strategies is often at the forefront of every successful business plan. For this reason, more businesses are beginning to include in-building wireless services in every location to ensure that business operations are never hindered by an inability to communicate. Whether you are just now considering in-building wireless or you are in need of an upgrade, here are the main reasons why these services are critical for you business’s success. According to the Houston Chronicle, small businesses must maximize the mobility of their employees if they want to keep up with the competition of larger companies. With in-building wireless, your employees will no longer be tethered to a desk. Instead, they can easily transfer files, communicate with their colleagues and make phone calls using mobile technology while they move about the building. Making sure that your building has adequate coverage to meet the growing demand for wireless services is critical. This is especially important if your company has a high flow of traffic using mobile devices that depend upon wireless technology or if the building has weak spots. 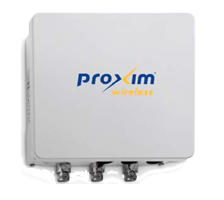 Cell phone boosters can improve reliability by increasing the signal received throughout your business location. With reliable service, your employees can perform their job duties without interruption. Protecting your employees and company equipment should always be a priority. Unfortunately, buildings with zero or weak wireless services pose a hazard if communications get halted. With in-building wireless, your security personnel can communicate regarding potential threats and emergency responders can quickly gain access to the building if necessary. This is especially important if you have employees who work in remote areas of the building or that perform duties that make it impossible to use a wired telephone service provider. Finding ways to improve your business operations is as simple as including in-building wireless in your next technological upgrade. This strategic maneuver can instantly transform how your company does business by providing your employees a way to increase productivity through the use of mobile devices. By including in-building wireless services that provide you with the right amount of coverage, you will always be assured that business can run at its peak capacity.